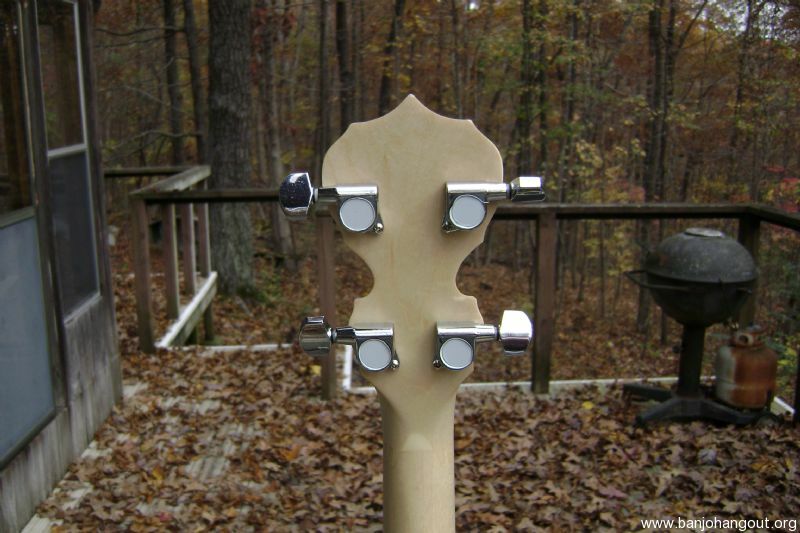 Hi, and thanks for looking at my ad. 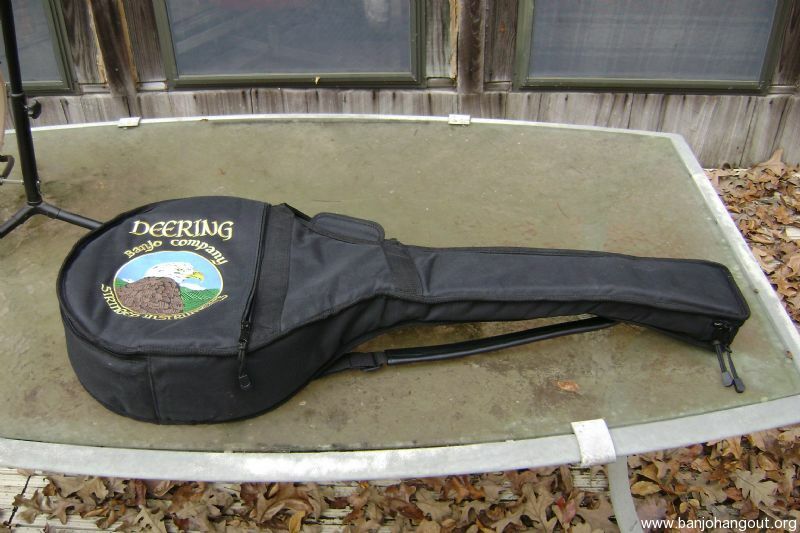 I have here a like new Deering Open Back 5 String Banjo and Deering Gig Bag. 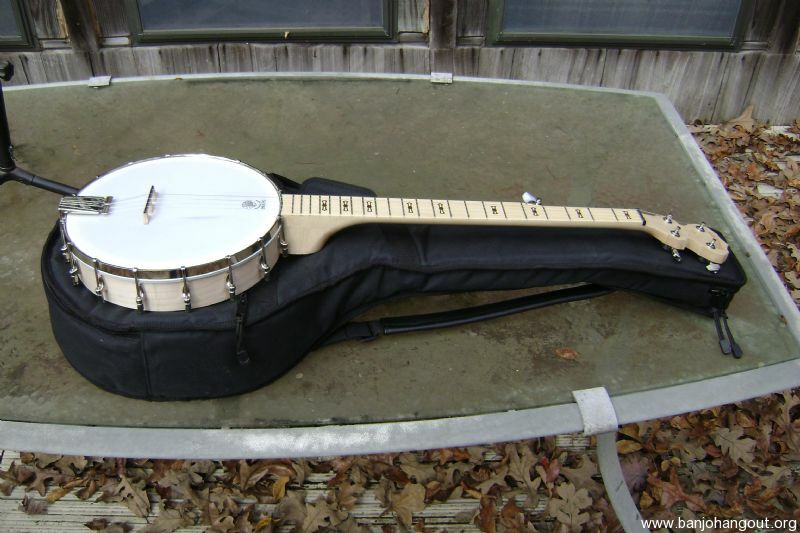 There is very light play wear on the Head of the Banjo, and except for the slight wear on the Head, the Banjo looks brand new. 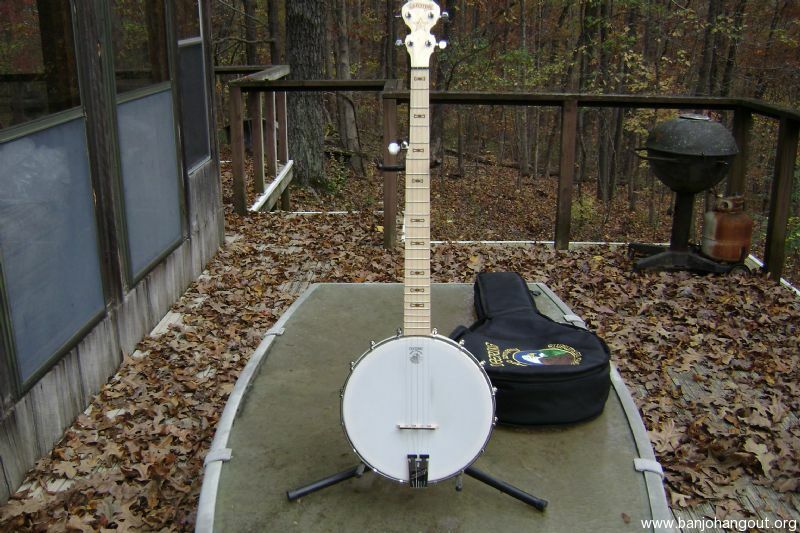 I did a set up on the banjo to make sure everything was set right, and it is a very nice sounding, easy playing Banjo. 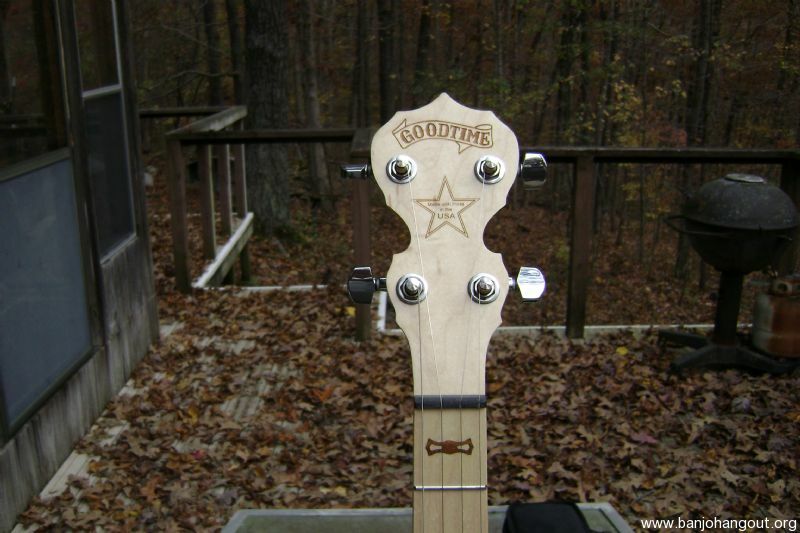 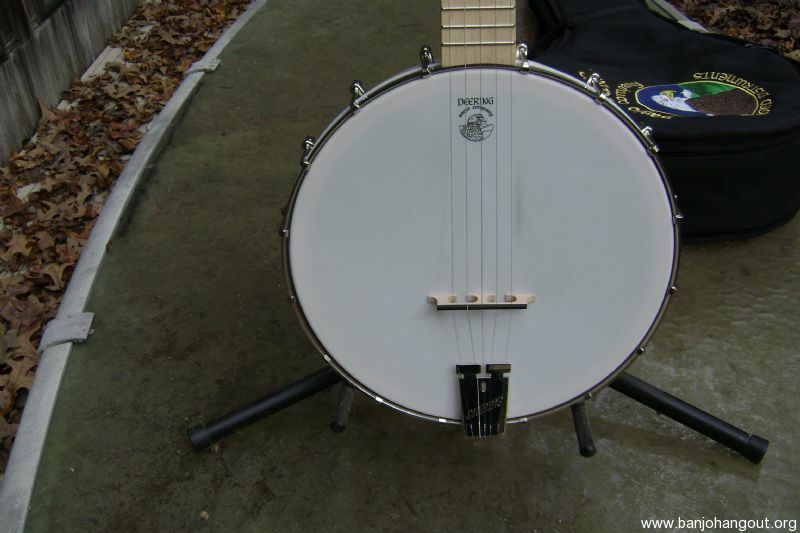 Although it wasn't on the banjo when I took the pictures, it will come with one of my Spillway Dam Banjo Bridges on it, and if you are a Clawhammer Style player, I can put one of my Clawhammer Special Banjo Bridges with the raised 5th string on it for you. 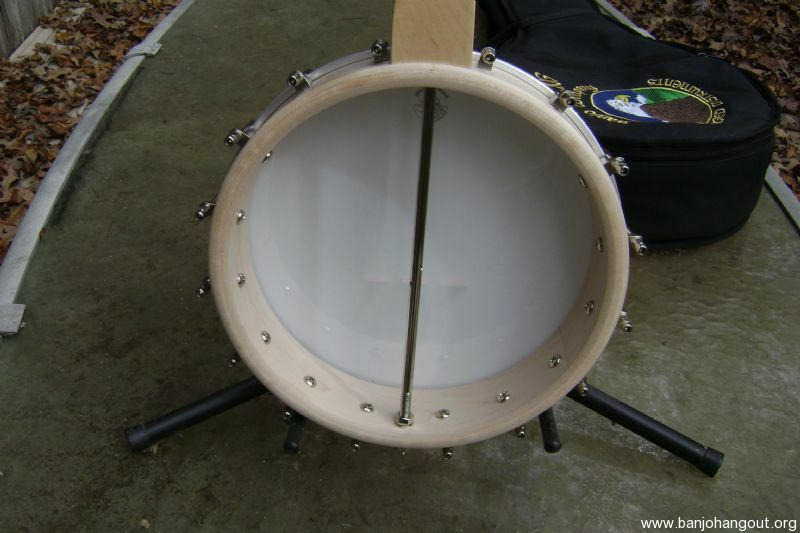 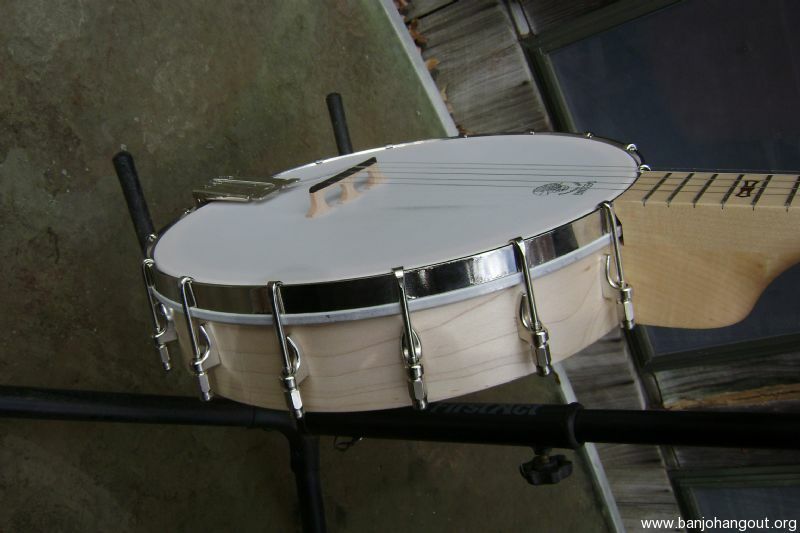 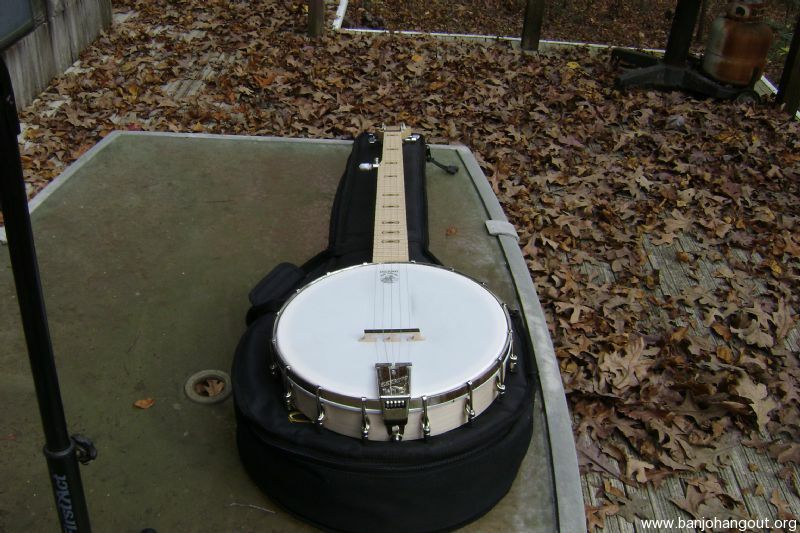 This is a really nice package for a beginner, or someone that wants a lightweight banjo to throw in the car when they are going to a festival, or jam, and don't want to take the expensive one. 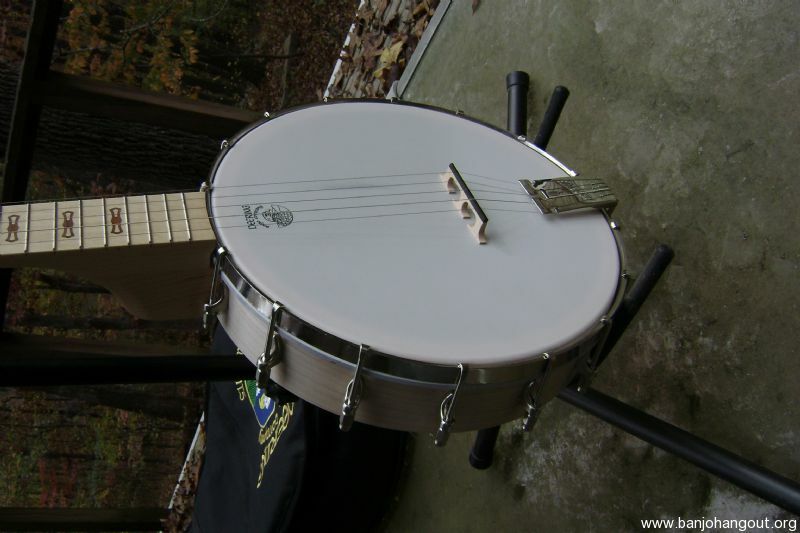 I can ship it to you in a New Hardcase for an additional $40 exchange if you prefer a Hardcase.